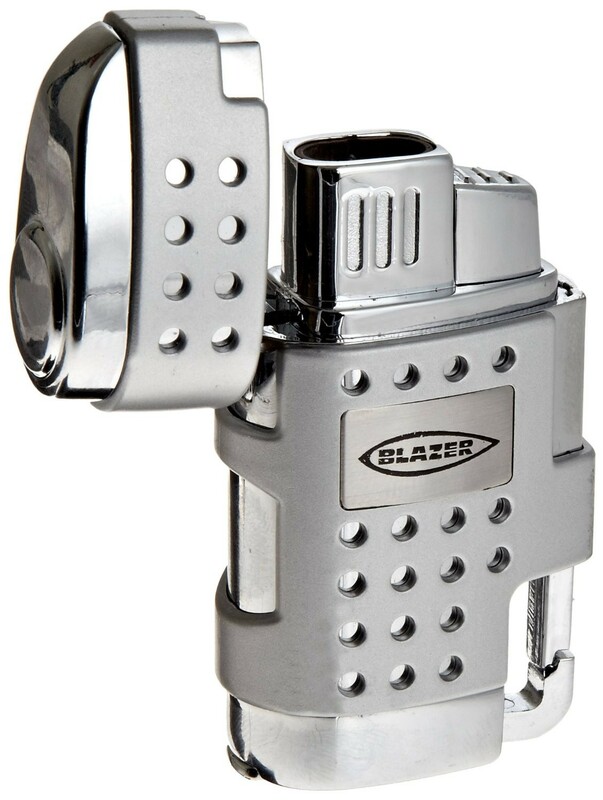 The EVO features a powerful twin torch flame design, a sturdy chrome plated body and all the value added features you’ve come to expect from Blazer Products in a modern and sporty package. The powerful wind-resistant blue torch flames provide maximum coverage for a quick and even light every time, even in the most demanding environments. 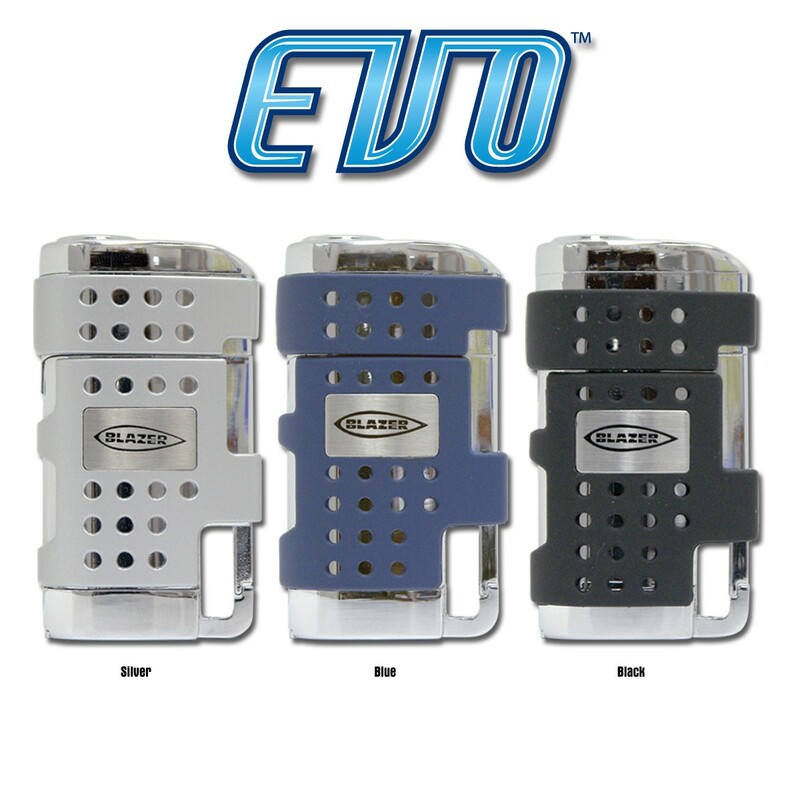 The EVO is available in 3 styles, each with a highly polished reflective body. 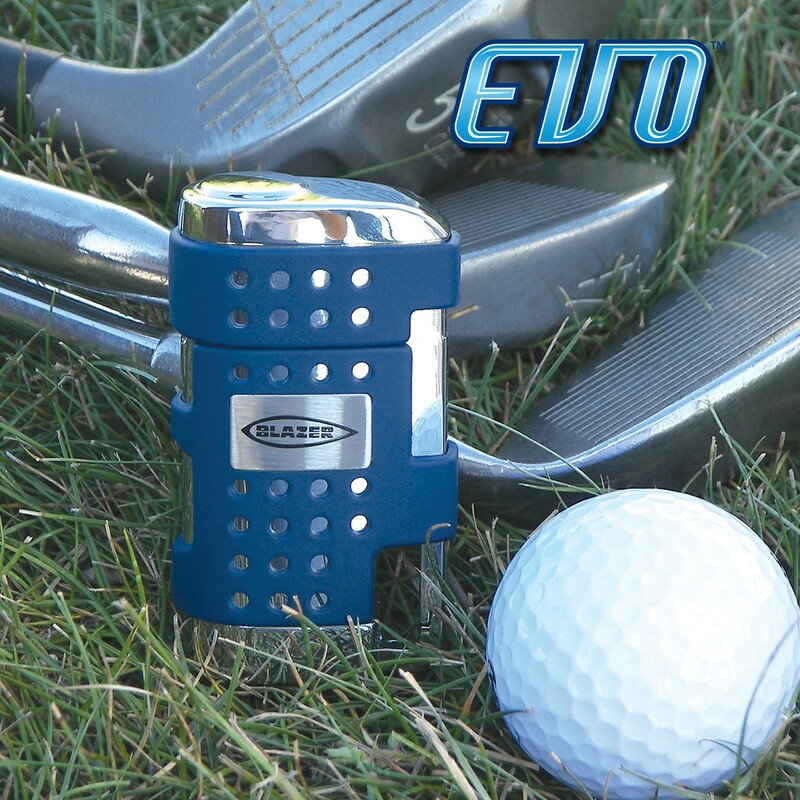 The black and blue colors feature soft rubber padding that’s easy on the hand and provides an extra secure non-slip grip. 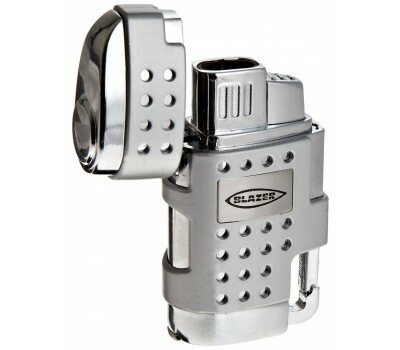 A retractable cigar punch on the bottom and a functional key ring latch on the side round out this feature packed twin torch lighter.